Watch the program at 22:00 on Channel 24. When rumors surfaced that the Georgian team was out to launch its own political project in Ukraine, it was believed that it will be based on the basis of Democratic Alliance. However, they never came to terms. 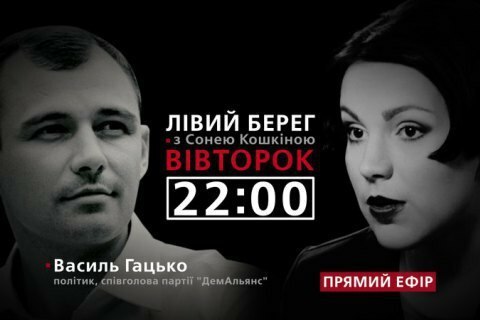 What was the stumbling block on the path to cooperation, the leader of the party Vasyl Hatsko will tell Sonya Koshkina on the Left Bank talk show today at 22:00 on the Channel 24. And apart from this - on how Mustafa Nayem, Serhiy Leshchenko and Svitlana Zalishchuk have joined the party, the results of the party congress and further political plans.